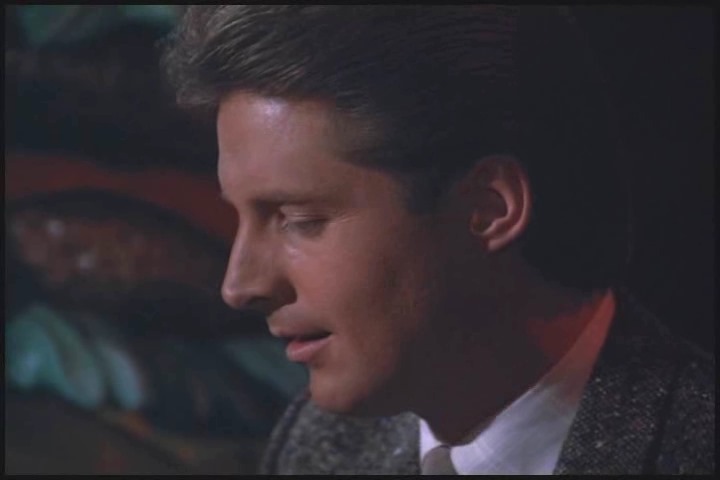 7/24 Season Three, Episode 12: Fast Food For Thought- Scarecrow and Mrs King | "Just walk with me.."
The safe clicks – it’s open!! Lee: I don’t believe this—I got it. Lee opens the safe, and takes out a folder of some kind.. making too much noise for Amanda’s liking. 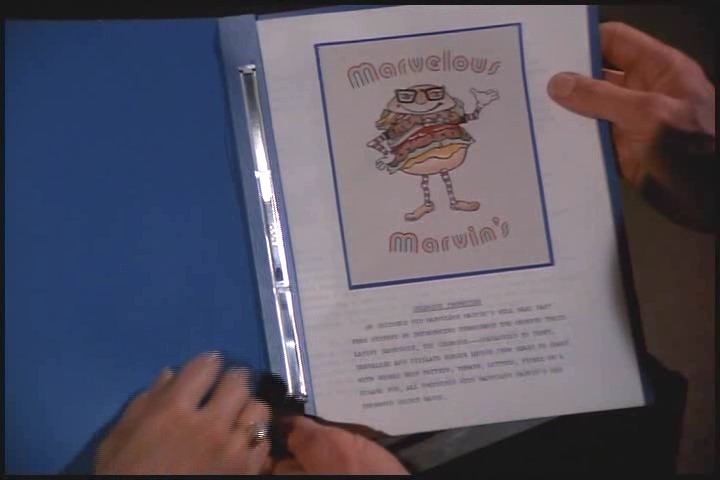 We see a close up of a creepy Marvin burger and a blurb. ’Colossus’ is the furthest thing from my mind right now.. I’m thinkin of a different Ancient Greek name..
Come on!!! Don’t tell me I’m the only one?! Lee: Colossus is a hamburger. [Yes, we learned that back in Lost and Found! Lee: excuse me miss, my Colossus of Rhodes burger seems to be missing. [actually now I think about it, that’s a great gag..maybe smk meant it to be a gag.. after all people have been searching for the ruins of the Colossus of Rhodes no? So yes, it seems to be missing! 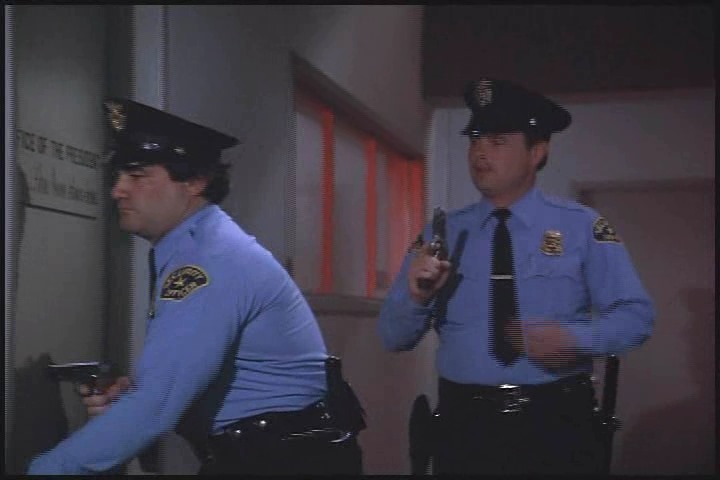 Uh oh.. Out in the corridor, two security guards approach. LOL so considerate of them to make a bit of noise on the way! Lee and Amanda scramble to put away the folder, and hide. The guards enter guns drawn.. and walk straight through the office, past a huge cupboard, to another room.. these guys are super clever! Out pops Lee and Amanda! LOL there is probably a meme in this shot.. feel free to use it if you like! 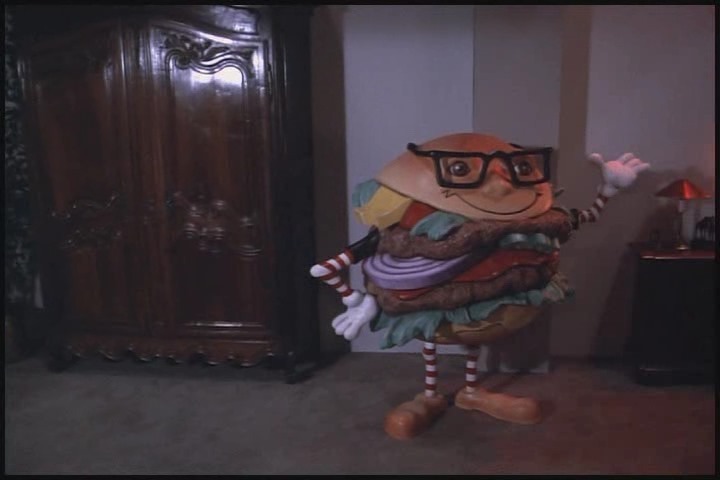 Amanda and Lee hurry out quietly..
And we see Marvin smiling and watching them leave..
Ugh that burger is sooo creepy!! Oh hey, looks like he has onion in him too! We cut to the hallway where Lee and Amanda are rushing while trying to look casual. (cue the kooky music) the guards come out of the office just missing seeing Lee and Amanda turn the corner. The guards make it to the elevator and we hear a bell.. there’s an open door in front of them. They go through it. We zoom back in on the elevator numbers going down.. so seems Lee and Amanda made it back to the elevator. Phew.. Great lying and sneaking you two! The scene ends here.. So I shall too! Short and sweet this time.. I can only take so much Adonis!! Any thing about this post or the episode so far you’d like to share? Byeee for now! That dust bin is truly bizarre!!! was it as bizarre in it’s time as it seems now?! I’m having computer troubles yet again, so not sure how we’ll go scheduling wise.. but for now..
I’ll publish the next post and we’ll see how we go! Nothing profound to add to the discourse – I was dazzled by the perfect profile and all rational thought ceased. PS. If it doesn’t, check out BB’s Facebook page. Worked for me! Thanks for sharing Kiwismh! Thanks for sorting that out Iwsod – I just meant the link to go in, not the pic. Yes, agree about differentiating between Lee and BB but we can pretend they’re one in the same just for special occasions like his birthday on May 12. I agree with you Iwsod. BB does nothing for me. Even just pictures of him, I can tell that it isn’t Lee Stetson. Granted he is a handsome man, but somehow he is missing whatever it is that makes Lee so interesting to me. I wonder what a current picture of Lee Stetson would look like? Too bad we’ll never get to see it! Because of this blog I have paid more recent attention to BB and how active he has continued to be. I’ve always swooned over Lee, but have come to see that there is much of BB in Lee. 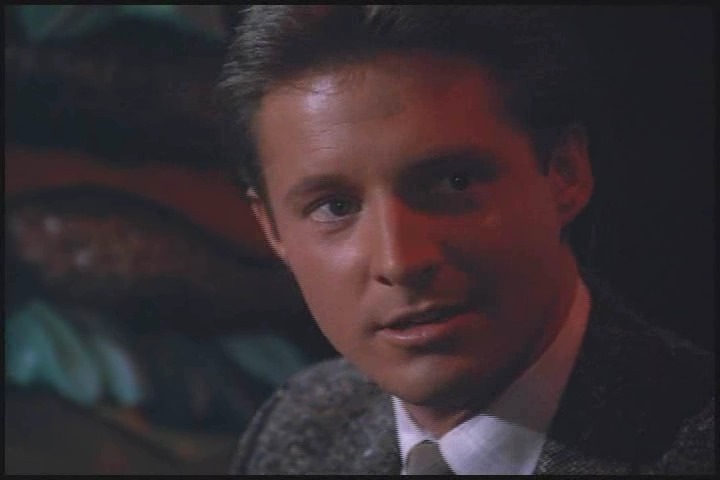 In a recent interview he told of some of his thoughts about love and what it means and threw in how he loves the romantic comedies of Hepburn and Grant and i definitely swooned. Add to the fact that BB appreciates all that SMK did for his career and its fans increases the swoon factor for me. Yes it is great that BB looks back fondly on his SMK experience.. though ahem.. his references to all the ‘middle-aged’ fans of smk? I could have done without 😉 tee heee.. True for me too Iwsod, it’s Lee that makes my heart go pitter-patter! I just rewatched Baylon 5 and BB did a terrific job, but he’s the character of John Sheridan on a big space station, never to be confused with Lee Stetson! where’s that helmet and drool bucket?! A colossus sounds like a whopper to me. Adonis/David… and this contrasted with that burger/goblin thingy. I am so confused, and this is the kind of confusion even my mental gymnastics cannot straighten out. Maybe my allergies are messing with me as well. I’m not even sure what the rest of this post is about. I got stuck at Adonis and…well…there you have it. By the way, BB just celebrated his 65th b-day on the 12th. To me he still looks pretty dang good! I’m not even sure what the rest of this post is about. I got stuck at Adonis and…well…there you have it. The Marvelous Marvin’s PR team should have employed an editor to clean up their press release. “BY INTRODUCING THROUGHOUT THE COUNTRY THEIR LATEST HAMBURGER”?? Why did he have to wear a tux instead a toga in TFT??? Adonis! Perfect! No, iwsod, you’re not the only one! 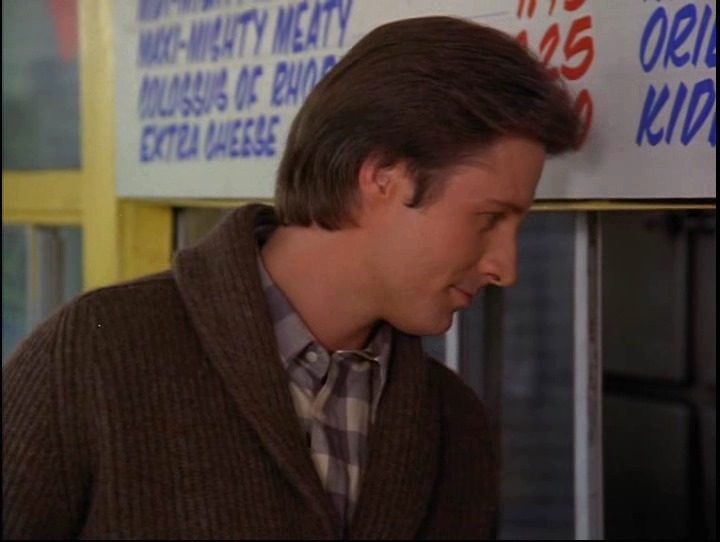 Was that burger stand in LAF a Marvelous Marvin’s? I’ve just got back on break from school, so hoping to catch up on the blog! Hiya BJo!!!! so glad you could stop by!!! Time for an Smk binge?! I don’t think it was a Marvellous Marvin’s in LAF- It was that place with no filler! lol.. Mighty meats or something wasn’t it? All I can remember is that cow sitting on the burger and squashing it! lol..
Yup, time for a binge! Actually – a mini-binge tonight and then another one tomorrow! I think it was called Mighty Meaty.